Fire Your Financial Advisor! 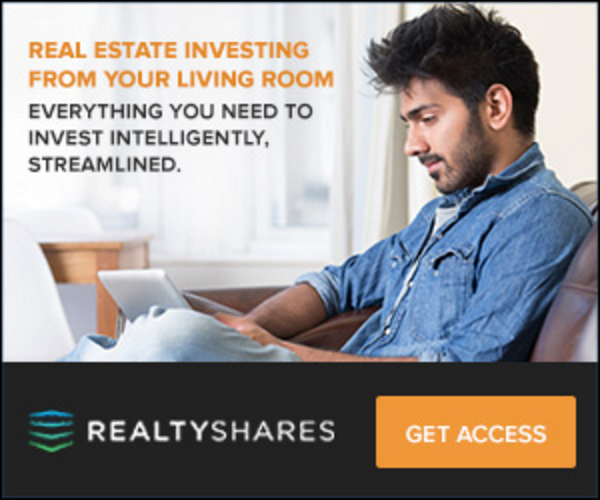 The White Coat Investor Course Review | Passive Income M.D. Do you ever open up a review and just scroll down to the end to get to the punchline? Well, no need to do that here because I’ve decided to start with the most pressing questions first. At the end of the review though, look for my tips on how to maximize your use of the course. Is Fire Your Financial Advisor! The WCI Online Course worth it? The course costs $499. Full disclosure, I received free, full access to the course for being part of the WCI Network. So how can I answer this question with any credibility? Well, to start, I feel I know what value is when it comes to financial education. That has come from years of spending hundreds to thousands on my own personal financial education. I’ve spent a significant amount of money on books, courses, and conferences. I also know what it means to invest in something (like everyone reading this review). Time and money are limited resources. Therefore, every time I spend money or dedicate time related to my education, I consider it an investment, meaning that I plan to get more out of it than I initially put in. Just like I wouldn’t have spent 13 years of schooling and training if I didn’t get the awesome privilege of being a physician for as long as I wanted. A one time purchase of the course for $499. Time: 8-12 hours including time to write your plan. Help to make wise decisions when it comes to all aspects of your financial life, which may translate into thousands to millions of dollars over your lifetime. You will learn what not to spend your money on, and that alone will help the course pay for itself many times over. In fact, I believe the course will have likely paid for itself by the time you get through the 2nd or 3rd hour. A resource you can go back to again and again as long as you want. A financial plan that you would normally have to pay thousands for to have made (and may not even fully understand). Let me tell you the most valuable thing I think it’s saved me – TIME. Time saved from having to search different sites, books, forums, podcasts, etc. to find this info. Yes, some of this stuff you could find free online, but not all in one place, in one concise, high-yield course. Would this course save you at least 3 hours of your time, searching and digging for all this stuff? Absolutely. And if your time is as valuable as mine (I’ve calculated to be at least $200/hour) – boom, the cost of the course covered! So You’re Saying You Can Guarantee It’ll Be Worth My Time? No, unfortunately I cannot guarantee it because I don’t know everyone’s background and situation. However, I can guarantee that you won’t waste money on the course because there is a seven-day money back, no questions asked, return policy. Who Could Benefit From This Course? It’s for anyone who considers learning about finances an important part of their family’s future. It’s for someone who wants to set up a financial plan but doesn’t quite know how to get started. It’s for someone who has a financial advisor but has always wanted to know how to make the best use of that advisor. Or if your financial advisor throws around terms you don’t quite understand, it could help you. My wife who isn’t interested in learning about personal finance even benefitted from the course. I had her listen to a few parts because I felt we both needed to be on the same page about certain issues including future financial goals and estate planning. It started a discussion and it brought up topics that we hadn’t necessarily taken the time to consider before and talk about as a couple. It especially makes sense for the late stage resident or young attending physician who is looking to set their financial path. How you start the first 3-5 years of your physician journey could make a huge difference how you spend the next 40-50 years of your life. What Exactly Is a Financial Plan and Should I Have One? A financial plan is a written plan to make sure all parts of your financial life are working together to help you achieve your life goals. Money is a big part of that, but through filling out a plan, you will help define what your priorities are, what you truly value, and the pathway to getting there. One of the best quotes from the course is a simple one, “Your chances of success are much higher if you write it down.” Part of the reason I started my blog was to document my journey and announce my goals. I strongly believe I was able to accelerate my course to financial freedom significantly because I was tracking it. Here is the underlying question “Will I have enough to do the things I enjoy doing with the people I love?” If you already know the answer to this, you probably don’t need a written plan. If you’re not completely certain, it’s probably best to put together a plan. 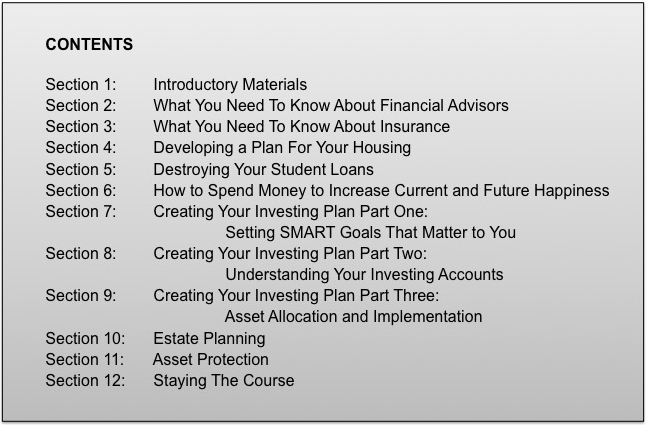 The course is split up into 12 different sections covering all of the essential subjects that belong in your financial plan. Each section is a mix of a video lecture with Dr. Dahle speaking directly to you and also of him giving a lecture over a screencast, like a powerpoint presentation. Each section has a pre-test and post-test with explanations to make sure that you have a good grasp of the material by the time you finish each section. Each section also has an example of what a written financial plan for that section that you can use as a model and modify to your own individual preferences. Again, the best part is, once you buy the course, it’s yours forever. I think he covered all of the essential topics, however, I do wish that the section on real estate investing would have been expanded a bit. (Admittedly I’m a little biased toward this subject.) In particular, how does owning cash-flowing real estate factor into some of the retirement calculations? I’ll make that suggestion for future updates in the feedback section. Any Tips for Taking the Course? Watch one section at a time in full. Give yourself an hour per section. Take the test right after to make sure you understood it, and if you don’t understand the answer to one of the questions, go back and re-listen to it quickly. Write the plan immediately after each section. The content is fresh in your mind and in my mind it’s easier writing the plan in small chunks. It’s also less daunting. Plan to get through the whole course in 2 weeks. Yes, you can pause, you can come back to it, but it’s a mindset thing and momentum is huge. Have a notebook with you to jot things down as you go: key points, things you want to ask your advisor and insurance agent. Print out the sample plans first and refer to it as he’s talking. Realize you can watch it at increased speeds if you want. If you go to the settings, you can alter the replay rate. For topics I felt I already had a good grasp of, I watched it at 1.25x or 1.5x. Otherwise, I watched it at normal speed. It’s a great course full of high-yield information. It will ultimately save you time and money. If not, there’s a 7-day money back guarantee. Hope you enjoyed the review. If you have any questions, feel free to drop a comment below. If you’d like to find out more about the course, click here. Fire Your Financial Advisor! 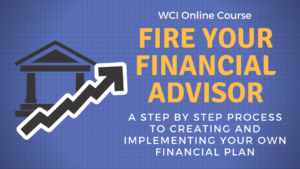 The WCI Online Course. Disclosure – if you do end up buying the course, I may receive a small commission, but that’s at NO EXTRA COST to you.